AirScape Engineer's Blog – All About Whole House Fans + bonus opinions on energy. Engineers here at AirScape are currently working on the finishing touches of a direct vent exhaust fan designed for industrial and commercial applications such as large indoor greenhouses and warehouses. If you’re reading the blog post, you probably noticed that we have a new measurement of airflow shown on our website. CFM is a common abbreviation for Cubic Feet per Minute. This is a measure of how many cubic feet of air a fan moves per minute. The new measurement is based on our creation. The Q-CFM™. You’ve probably also noticed that the Q-CFM™ number is about 30% higher than the official (and correct) airflow rating that we obtain through rigorous testing. We have devised this (tongue in cheek) rating system to counter and illustrate some misleading information. 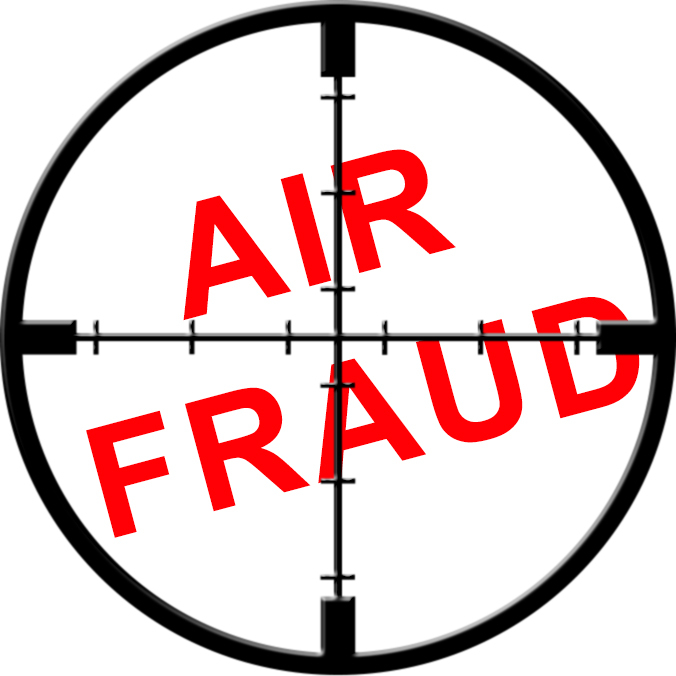 One of our competitors is routinely advertising and using airflow numbers that are well over 30% higher than the official airflow rating that they submit to the California Energy Commission. So, the Q-CFM™ is an abbreviation for Quackery Cubic Feet per Minute. If you have any questions about how we measure and report airflow, please feel free to email or call us on the phone. We’re happy to chat. We’ve often talked on this blog about how we are big promoters of “open” systems. That’s why we included an application programming interface in our 2nd Generation control package, and why we were very excited that a third party developer released an iOS app that works with our 2nd Gen. controls. It will come as no surprise, then, that we’re once again excited to share a new independent whole house fan app, Cool Off. Cool Off helps homeowners get the most out of their whole house fans (both AirScape and other manufacturers) by automatically notifying them whenever the temperature outdoors drops below their desired indoor temperature. This, as I’m sure you’ve already figured out, allows you to know exactly when and when not to run your fan. Users can use both actual and “apparent” temperature settings, which is a very nice option in more humid climates. “Apparent” temperature readings take humidity into account in order to provide a measure of how hot it feels like outside, as opposed to what a thermometer says it is. Air feels increasingly hot as humidity rises—in a humid climate, air conditioning removes humidity from the indoor air, making it feel cooler than humid outdoor air even when it actually isn’t. Furthermore, thanks to Weather Underground’s forecasting, Cool Off can estimate the time of day you’ll be able to switch from A/C to your whole house fan. This is subtly useful. If, for example, it is too hot to run the fan at the moment, but will be cool enough soon, you might want to turn off your A/C now, endure the heat for a short spell, and save a little money. Likewise, if it won’t be cool enough to run the fan until the early hours of the morning (which could easily be the case during a heat wave), you’ll want to know, so you can turn on your A/C early and not lose any sleep. It is important to note Cool Off cannot directly control either our fans or those of any manufacturer. That said, we are very happy its developers have published it. 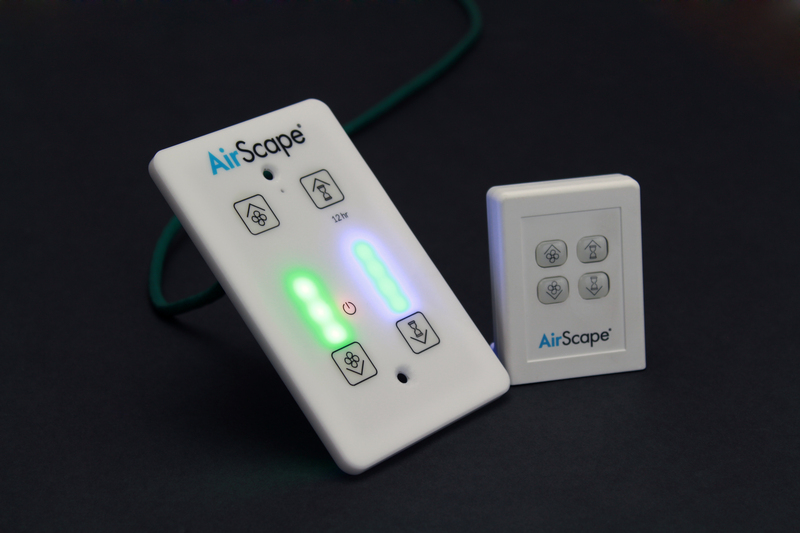 Our new Digital Touch Controls, now shipping standard with every AirScape fan, are not compatible with our own Temperature Sensor Package, which can only be used the 2nd Gen. controls. If a homeowner would like to easily gauge the outdoor temperature, without upgrading their controls, Cool Off is an excellent way to do so. To learn more about Cool Off, visit their website at www.cooloffapp.com. If you check out their site, you’ll also learn that the app is available in versions for both iOS and Android operating systems, and will work on both smartphones and tablets in either ecosystem. You can download Cool Off on the App Store or Google Play. This spring we are introducing several new models of whole house fans. We’ve made very large investments in R&D over the past couple years, but thus far have only adopted new innovations piecemeal. Collectively, these upgrades will boost our fans’ airflow at maximum speed by an average of 28%, and their efficiency by 37%. We’ll detail every improvement in a series of posts, but, to start, we want to discuss what will be the biggest change: a new control system. In all of our new models, we will be replacing our 2nd Generation Controls with our new Digital Touch Controller. This new controller provides every fan with 10 speed settings (up from 7), and a 12-hour timer. Instead of traditional “buttons”, the touch controller use capacitive sensors to turn its face plate into a touch pad much like your tablet or smartphone. Simply touch your finger to the correct part of the face plate and, voilà, the fan responds accordingly. We’ve even added two banks of LEDs to display the fan’s current speed setting and the amount of time remaining on the timer. You can see this remarkable new controller in action by following this link. We’re big believers in the power of Open Source here at AirScape. We run as much of our business as we can on Linux workstations, and we’ve published the application programming interface (“API”) that controls our fans. Now, not everyone’s a programmer, so we’ve released our own apps for both iOS and Android devices on the App Store and Google Play. In our heart of hearts though, we’d love to see as many of our customers as possible take advantage of our open platform to configure a unique control system that works best for them. This is why we’re excited to write about one of our customers who’s taken our API and built upon it. Scott is a software developer who bought one of our fans for his Bay Area home and “fell in love with it.” He decided to write his own app, which went live on the App Store yesterday. The “Porchdog app for AirScape Fans” includes all the same functionality as our own, with a different interface. 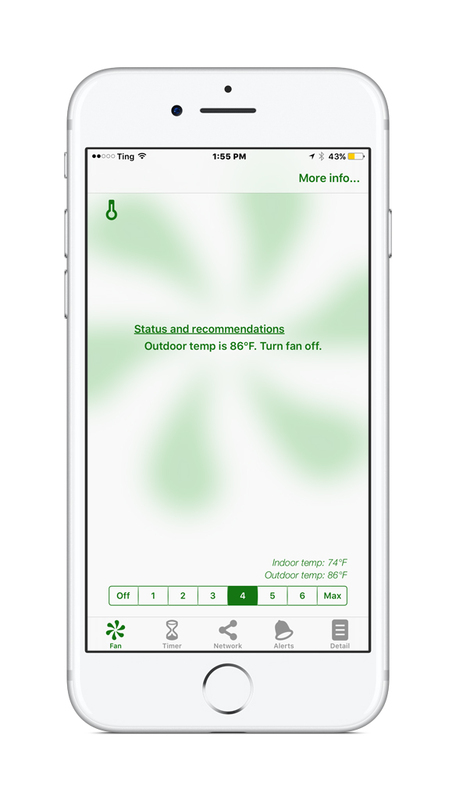 A unique feature of the app is a series of notifications guiding the homeowner to turn their fan on or off based on conditions outdoors. Scott has also included a utility for estimating the outdoor temperature without needing to outfit your fan with one of our temperature sensor packages. Now, since we didn’t develop this new app ourselves, we don’t provide support for it. If you need support, you’ll need to contact Scott directly; the support website is www.porchdog.com/contact.php. Also, the Porchdog app is only available for iOS devices. We try to be the first to recognize one app doesn’t fit all, even when it comes to our own products, so we’re very excited one of our fans has built on our prior work to develop this new app. If you’re an iOS user and looking for an alternative to our own app, we’d encourage you to check out Scott’s.